Shah Jahan King of the World (1592-1666), His Imperial Kitchens were known for their excesses, similar to those of his predecessors. Hundreds of dishes were prepared every day; decadent meat pilafs fragrant with jade-green pistachios, golden sultanas, saffron, cinnamon, nutmeg and cardamom were served to portray the glory of the Mughal Empire. Innovation and discovery of new dishes was encouraged, with chefs brought in from Persia, Central Asia, and the Ottoman Empire to create dishes encompassing all the different regions. In 1783, Nawab Asaf-ud-Daulah re-introduced Dum cooking during the construction of Bara Imam Bara Mosque. For construction workers, food was par-cooked in large earthen pot called "Handis" over wood and coal fire. The mouth of the Handi was covered with clay saucer and sealed with a paste of flour to prevent the steam from escaping. Everyone needs a treat every day or at least on weekend; so, the to introduce chicken haandi, one of the delicacy of Mughal gourmet food, cooked in clay pot know as handi. Who says fusion cuisine is a 20th century phenomenon? At present, Dum cooking is in vogue. High priced restaurants offer Dum cooked food in Handi for parties. More, it is not possible for you to cook in a handi in your kitchen. 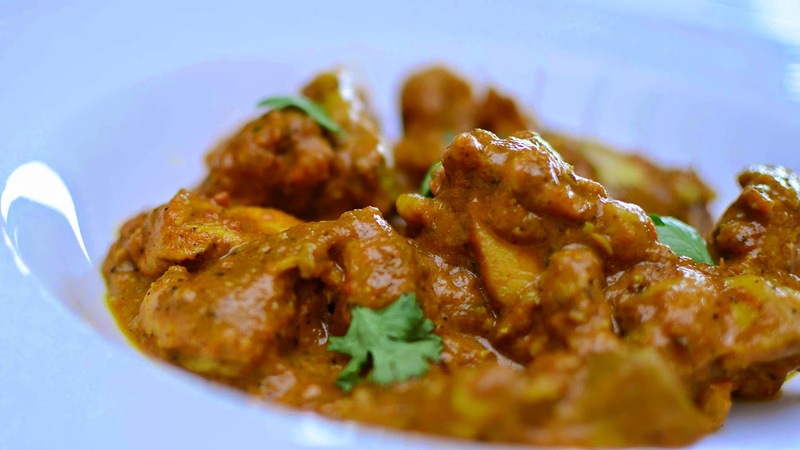 But that should not stop you from trying the chicken handi recipe. You can always cook chicken handi at home in your kitchen at your own pace. Large manufacturers in Pakistan are introducing Handi style cookware and food service ware, you can cook in a metallic pot of iron and copper. The basic idea is to cook this dish slowly over a low flame. 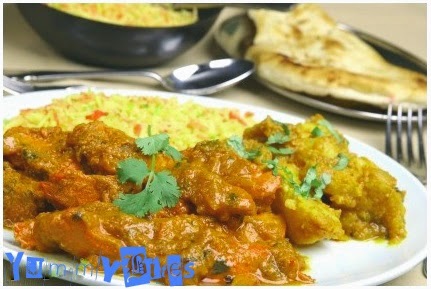 The chicken handi recipe is very similar to any other spicy chicken curry. What makes the difference to the taste is a blend of country spices and of course, the style of cooking. Although the recipe is easy to follow, it would be much better to try out the recipe with a bit of help. 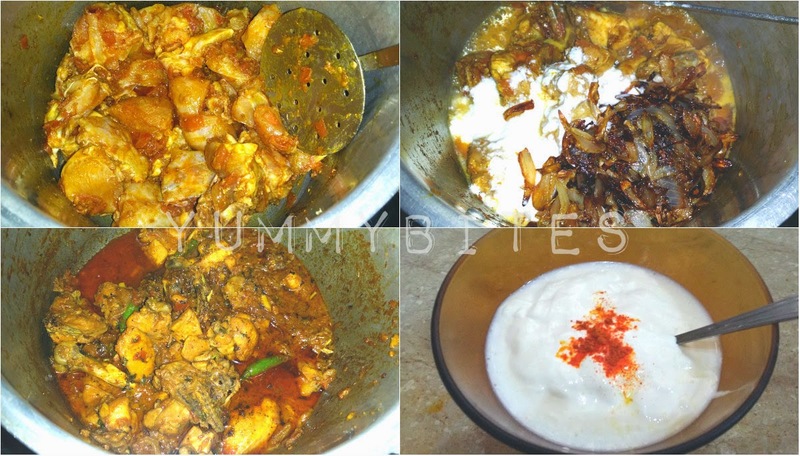 I have tried chicken handi at different restaurants and what I have observed every single place has it's own style and spice mix but one thing in common is that all of those handi's has soft smooth creamy texture without any visible ingredients except chicken and few chillies or match sticks of ginger. There is a secret ingredient which many of you cant identify easily only if you are keen of food with different flavors and have very strong taste buds then you might identify the secret ingredient in those restaurant handis; and to be honest that ingredient is the whole way out to the perfect restaurant flavor. Heat oil to fry onions till light golden of colour, carefully remove from oil and set aside. In the remaining oil, add garlic for sauté, tomatoes, salt, red pepper powder, turmeric, crushed coriander and cumin as well. Cook till tomatoes are soft, Look for heat at this point if the mixture is getting sticky at the bottom just add a bit of water. Then add chicken and let it fry in tomato mixture. Stir occasionally, cook until chicken is golden. Include beaten yogurt and fried onions, mix well and cook chicken till chicken is nearly tender. (or you can pressure cook it for 2 minutes only) Then add finely sliced ginger and whole green chilies and dried fenugreek leaves, stir in and cook for 2 minutes, let the taste to mix. Mean while mix fresh cream, milk and pinch of yellow food coloring. switch off the heat, immediately add cream mixture and stir well. At the end switch off the heat, add fresh cream, mix well. Add hot spice powder. Garnish with ginger and green chilies and serve. I'm not sure I can ever go back to any other place, after an experience like this. The Seattle venues are appropriate in a space that lends so much gravitas to events. The design is sharp and environment is unbelievably good.